Cheer up, chickadee! 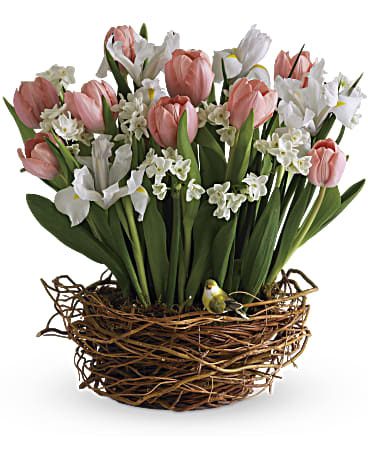 Here''s a spring-tastic way to brighten someone''s day: a darling bird''s nest bursting with beautiful tulips, irises and narcissus. It makes a delightful decoration for the kitchen table, or any corner of the home or office that could use a little spring magic. A tiny feathered bird completes the lovely ensemble.